I always get this question from interested readers and skeptics. When a scholar uses information from sources, it is needed to tell readers where the information came from and where they can locate credible sources. This is what citations and references are for. But if researches challenge the credibility of existing sources then a different approach must be followed. Otherwise new researches will lead to the same old invalid findings. The common element in the history of the Middle East and religions took me too far from the region. I have had to look into the history of Central Asia and the emigrations of those who I called “Turkic-Mongolians” because of the absence of a term that exists in both Arabic and English. There may be some Chinese and Russian sources, but I have not seen them. The method of history revisionism which I follow is not conventionally based on references and sources, but on modern evidences, analysis, investigation and reconstruction. Therefore, it is necessary to study traditional sources only to discover their weaknesses and to link conflicting, unproven, and contradictory narratives based on logic and modern information only in order to develop an alternative narrative. 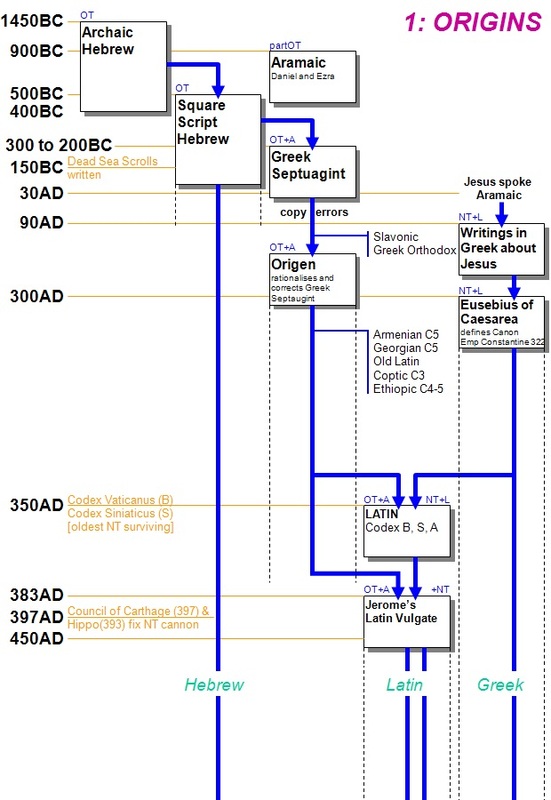 Then test the resulting new hypotheses in the general framework of modern and ancient history. For example, if it is mentioned that Abraham used camel; Jacob and his sons entered a walled city; a great destructive volcano happened and was not mentioned in the history of the Israelites; the Hyksos and Mitanni had common foreign origins; or that Abraham made long journeys without specifying the type of animal. These are few simple issues to research, investigation, and test. 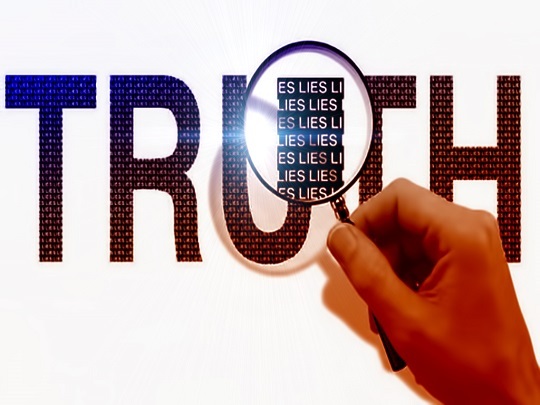 There are an enormous amount of weak and false stories that confirm the poor historicity of our existing references, sources, and religious interpretations. So unfortunately I have no reference books or even historians to suggest, because these many new topics and facts had not been studied before. Take for example camel and horse fossils; the Thera (or Santorini) eruption, the Scythian, Indus Valley, Iranian, and Zoroastrian histories, the great late bronze age collapse; links between Hyksos, Sabaeans, D’mt, and Kush. Therefore, I could only recommend revision, criticism, new assumptions, and reconstruction of history using logic and available new and old information. It is a difficult and doubtful method to use, but could be the best way to discover true history. Aramaic land was stolen in 530 BC by Turkic Mongolian Persians who called themselves Jews and pretend to be from the tribe of Judah. They were assisted by unfaithful Israelite who were brought in 580 BC from their homeland in the lands of Punt (the Horn of Africa) where the original Israel and the promised Israel were. They were invited to Neo-Babylonia in what the Old Testament call “Babylonian Exile”. The unfaithful Puntite original Israelite were 100% Africans. They agreed with the Turkic Mongolian colonizers of Assyria to work together and invent the Jews, Judaism, Hebrew, and shift the original Israel from the lands Punt to Aramaic lands. Those unfaithful Israelite were originally Ge’ez speaking then invented the Hebrew language by mixing Ge’ez with Persian and Aramaic and then became the Hebrew Israelite. The Hebrew Israelite and the Turkic Mongolian Jews became one group of colonizers in colonized Aramaic lands which they called “Israel”; with the Jews as dominant majority. The Hebrew Israelite are the lost sheep of the House of Israel mentioned by Yeshua: “I was not sent except to the lost sheep of the house of Israel” (Matthew 15:24). Early Christianity called for breaking the alliance between Hebrew Israelite with the Turkic Mongolian Jews. Yeshua asked them to repent and hold the Law of Moses. Original Christianity was not an invention but rather revival of the Law of Moses and Abraham. Early Christianity threatened the legitimacy of that colony and the Jews, who share with the Romans and the Persians the same origin. The Romans, the Jews, and the Hebrew Israelite fought back and turned early Christianity form the spiritual and moral teachings of Jesus to pagan practices about Jesus, and made him god and son of God. The Hebrew Bible and also the New Testament were edited and revised too many times and became totally different from the original Ge’ez Bible and the teachings and history of Yeshua. The religion attributed to Jesus and called Christianity is actually not a separate new religion but only the restoration for the religion of Abraham which was restored before by Moses but his efforts failed. 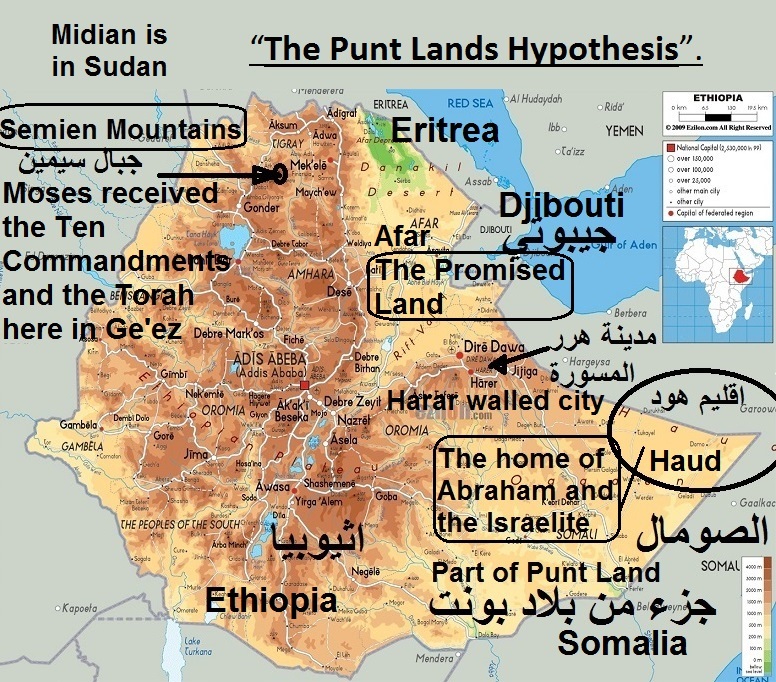 The religion and the history of Abraham and his descendants are the religion and history of the lands of Punt. They were not meant to be international, global, and certainly not universal. The Turkic Mongolians who originally from around the Altai Mountains and northern Tarim Basin of Western Mongolia, Eastern Kazakhstan, and Northern Uyghur turned the teachings of Abraham, Moses, Yeshua, and Mohamed into aggressive terrorist colonial tools; and they became global and even universal machines. 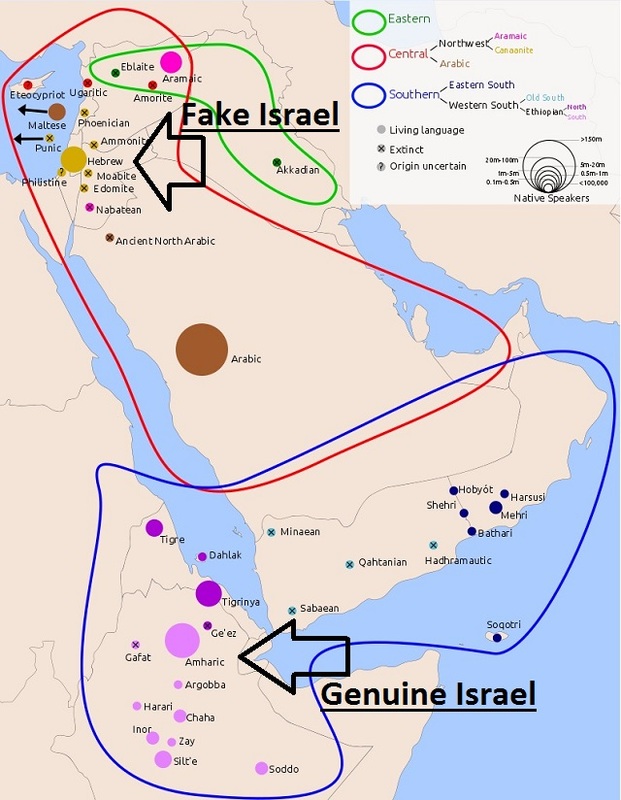 The world need to recognize the difference between the original African Puntite Ge’ez Israel and the fake copy of Turkic Mongolian Jewish Hebrew Aramaic Israel. 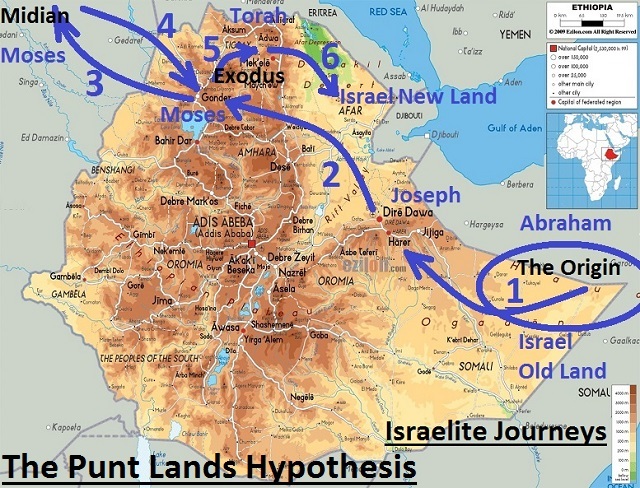 Moses came to the original African Puntite Ge’ez Israel, while Yeshua ministry was in the fake copy of Turkic Mongolian Jewish Hebrew Aramaic Israel. The parts of the Old Testament describing the history of the period before 580 BC are all forged. 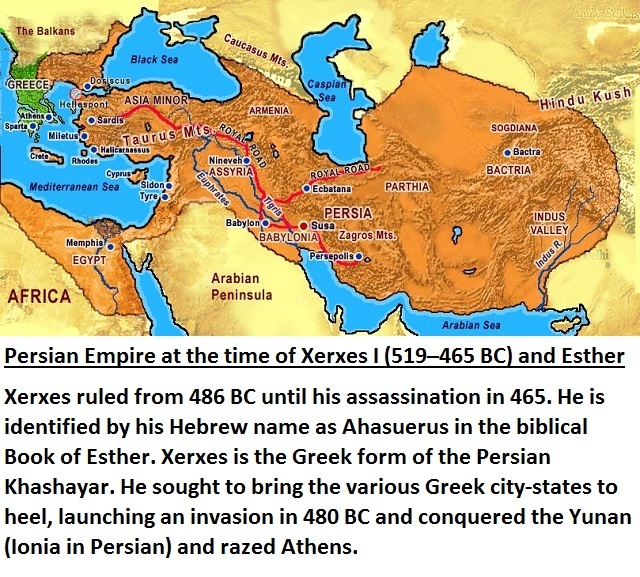 The history before 580 BC was forged to colonize Aramaic lands illegitimately; and that injustice brought Yeshua to Earth. Turkic Mongolian Persian slavery and collaboration destroyed Punt, the Israelite, and their history and people. By about 700 BC the Law of Moses disappeared from its original Israel in Punt. Then Turkic Mongolians who created Persia and Neo-Babylonia in Iran and Assyria invented Jews, Judaism, and Hebrew with help from some Ge’ez Israelite collaborators and slaves during 580-530 BC in what is called the Babylonian Exile. Definitely, I am not Black Nationalist or pan-Africanist or whatever. I am just a history revisionist. I investigate evidences and logic in history. Here are just few questions proving that the conventional old stories in Judaism and in Jewish Christianity, as well as the interpretations of Quran, are invalid. Let us assume that Abraham was from Ur, then how did he extensively travel in 2000 BC? Why the Hebrew Bible repeatedly mentioned Camels, while it was not known except in Punt? Where was the walled city that the Israelite entered to meet Joseph? 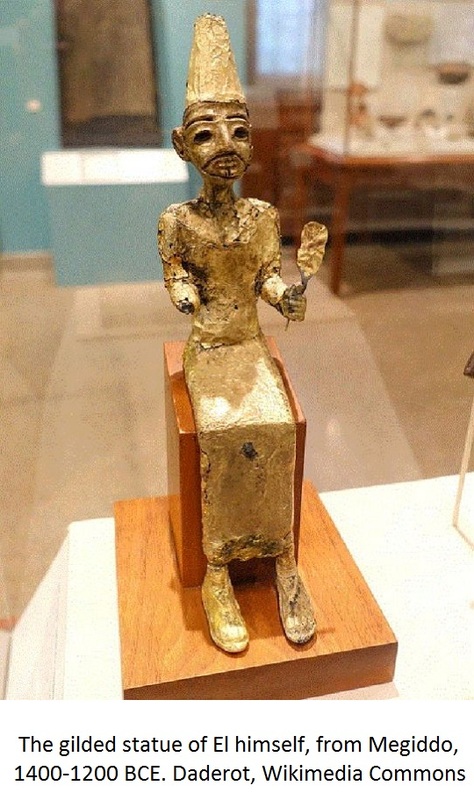 Why the Israelite didn’t borrow or left behind in Egypt any culture, graves, or even records is a well-organized civilized ancient Egypt (Kemet)? How come a huge tribe or a nation be exiled once in Egypt and then to Babylon? How and why a large nomadic herding tribe chose, flee famine and survive peacefully in a desert country like ancient Egypt (Kemet)? Why the Quran says the pharaoh ruled a land with many rivers, while Egypt has only one? 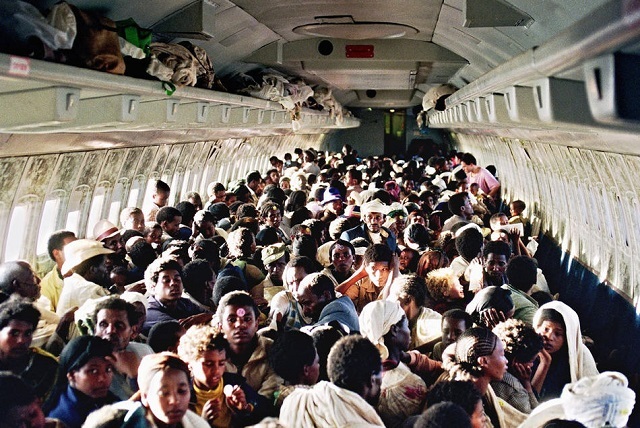 Why the Ethiopian Beta Israel insist that they are Israelite but not Jews at all, until today? Why the Ethiopian Beta Israel are recognized and moved in the modern State of Israel, while others are denied recognition and acceptance? How much reliable is the Hebrew Bible with all its editions, history of writing, poor historicity, many contradictions with proven and verifiable facts and new scientific discoveries? Why the issue of the origin of Jews and the difference between Jews and Israelite are still controversial and debatable after 4000 years from Abraham and Jacob? What were the political and ethnic consequences of the Turkic Mongolian horse military usage and westward raids and slavery in Iran, Assyria, Levant, Arabia, Kemet, Anatolia, Eurasian Steppe, and Punt (the Horn of Africa) since 1800 BC? What are the origins and how are the Persians, the Hyksos, the Mittani, and the Sabaeans (of Yemen)? Where were the resources and mines of gold and precious stones and exotic animals that made the fabulous wealth of King Solomon came from? And where are the remains? Why no one could find the Arc of Covenant, the grave of Moses and all other characters, the remains of Solomon’s Temple, and all other archaeological evidences for the period before 530 BC? How the story and the journey of Queen Sheba with King Solomon be explained in Judaism, Christianity, and Islam? And there are a lot more questions to be investigated and answered.